WEIGHT 1,200 lbs, WIDTH 33.8"
Baretto track trencher: weight 1700lbs. 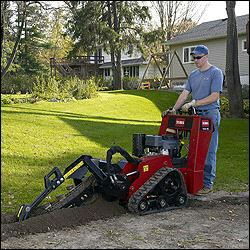 * Please call us for any questions on our trencher 6 inch med. gas rentals in Santa Barbara CA.